EXTREMELY SWEET and didn’t really taste like Golden Gaytime now that I think about it. 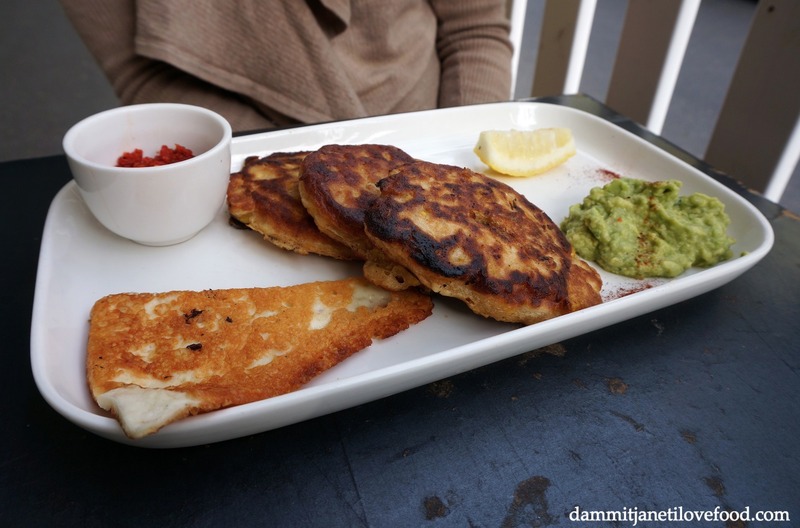 Crispy fritters with a hint of smokiness and spice. 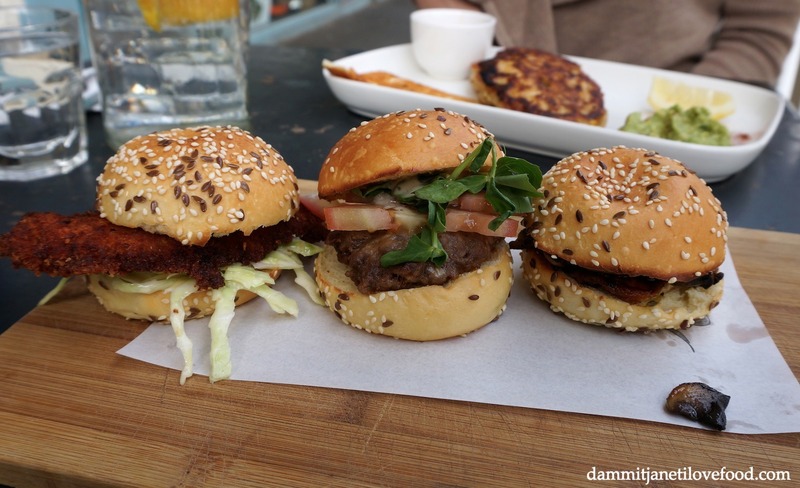 The chicken and beef were dry, while the haloumi and pesto combination made for a significantly salty slider. 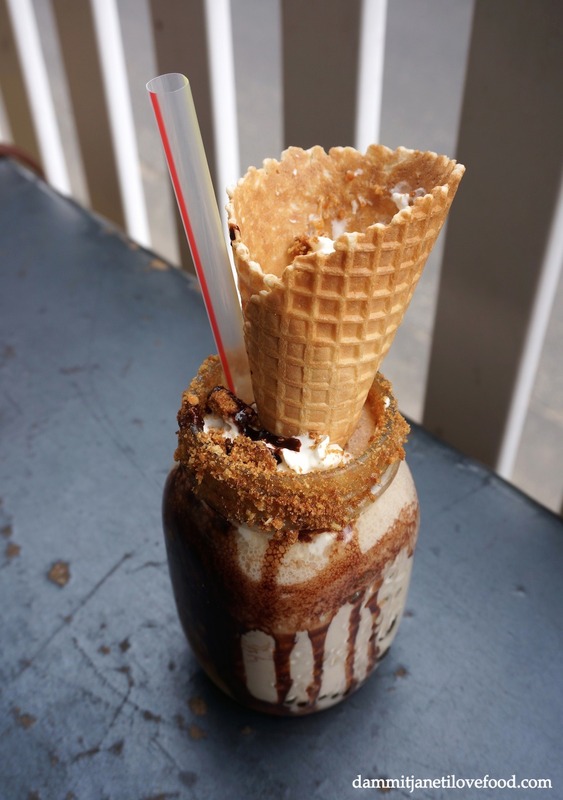 After seeing heaps of Instagram photos of Muharam Cafe’s incredible Nut-tellin’ doughnut shake (which is essentially a Nutella doughnut on top of a Nutella milkshake), I knew I had to come here to try one. The only problem was that they had run out of doughnuts! At 12:30pm! On a weekday! Our friendly waitress told us that they could still make us the shake minus the doughnut, but who would want a doughnut-less doughnut shake? Now onto the food menu. I had already looked at the menu before coming here and knew that I wanted the Red Velvet Pancakes. You can only imagine how devastated I was when we were told that the Red Velvet Pancakes had sold out! My next choice would have been the crumpets but before I could even form the words in my mouth, our waitress told us that the crumpets had also sold out! Dammit. After all that disappointment, I had my fingers crossed that what we ordered would have been great to justify coming back again for the Nut-tellin’ doughnut shake and Red Velvet Pancakes. Unfortunately it wasn’t so I don’t think I’ll be coming back here in a hurry. Still gotta try that doughnut shake!